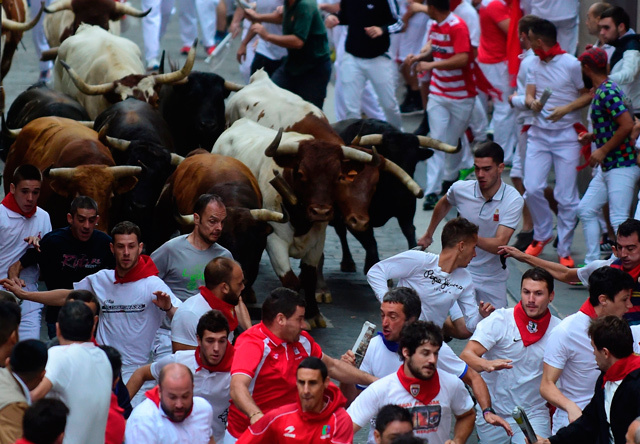 Six people were hurt, but none gored, at Pamplona's San Fermin festival in Spain on Wednesday where around 2,000 participants, many wearing the traditional white shirt and red scarf, dodge a dozen bulls and steers rampaging through the city. The final run of this year's festival, famous for its daily, 8 am, 875-metre sprint through uneven streets, will take place on Friday. 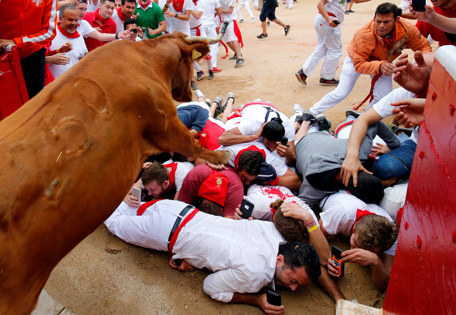 On Wednesday, the sixth run of the festival lasted two minutes, 16 seconds and included animals from the Victoriano de Rio ranch. 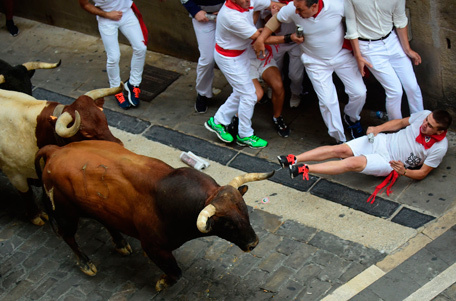 The bulls which run in the morning are taken to the bull ring in the afternoon, where they spar with a matador to the death.